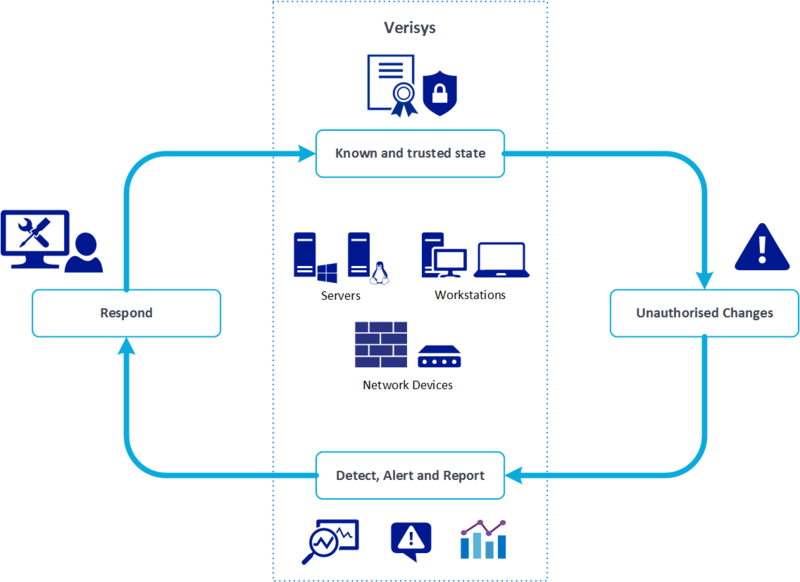 Verisys gives you the ability to detect changes to system objects and network device configuration, ensuring your systems remain in a known and trusted state. Unmonitored systems may be at risk from unauthorised changes - resulting in operational downtime, security or confidentiality infringements or compliance violations. 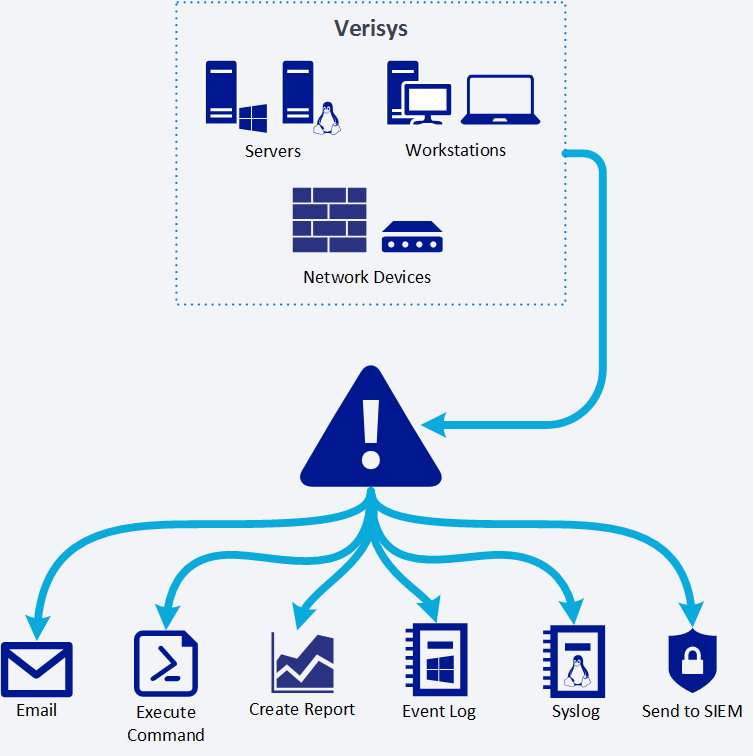 By implementing the Verisys File Integrity Monitoring system you can be confident that your systems are in a known and trusted state. The Verisys Console and Agents enable widespread monitoring and reporting of your business systems so that, in the event of discrepancy detection, you can act quickly to analyse and rectify the situation. When suspicious activity is detected it is crucial that you are able to identify the key information and respond rapidly. With automated alerts, Verisys will provide clear, concise reports and notifications showing exactly what has changed. Verisys also integrates with top SIEM solutions, seamlessly coming together with your existing security infrastructure.